Bravura Salicylic Acid 2% Review. 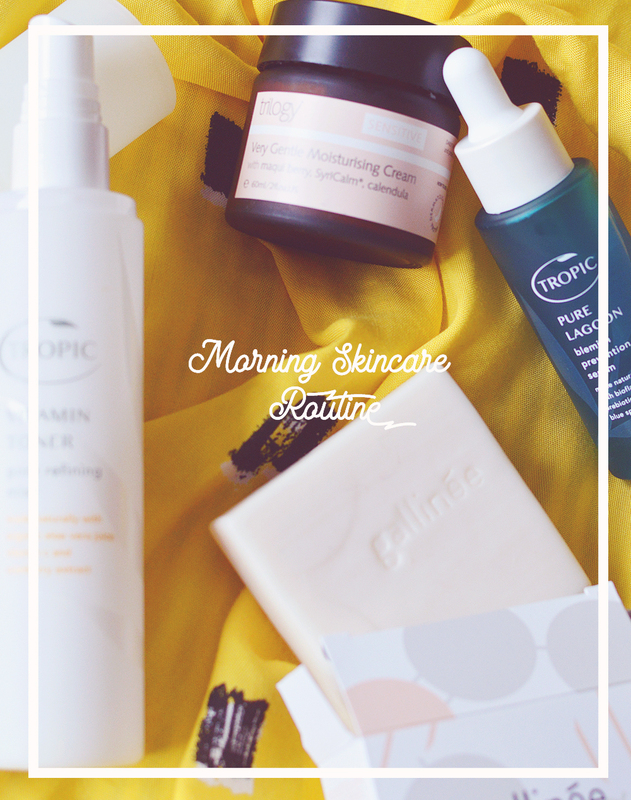 Vegan Friendly Morning Skincare Routine. Even though I own a lot of skincare I do make a conscious effort to keep my routine simple & not go changing up my products too often. First up in the morning I cleanse my skin with the Osmia Organics Black Clay Facial Soap, you may be thinking woah, a bar of soap?! well if you take two minutes to read my review you'll see this is certainly no ordinary bar of soap. After that I take two toners and spray them both onto one cotton pad, I couldn't decide which one I like best as they're both great with different ingredients so I just decided to combine them for the best of both worlds! (a little over the top, I know) I use the Jurlique Calendula Calming Mist* and Therapi Lemon Myrtle Facial Toner* for the combined redness reducing and antibacterial properties. Once that's out of the way it's moisturising time and more mixing too. If my skin is dry I will mix some Argan Oil with my moisturiser, only a drop to prevent things getting too shiny but also helping my skin stay nourished. I have been using the S5 Balance Fluid* yep, still. This thing lasts forever, I swear my jar isn't going down even with daily use! It's mattifying and great for summer (though SPF is a must as it contains a little bit of salicylic acid) but not very nourishing, hence the oil addition. Lately though I've been mixing it with the 100% Pure Tinted Moisturiser* which provides me with a little bit of coverage and a little more moisture. I think it's a little too heavy for my skin on it's own but half 'n' half is perfect. What do you think of my routine, have you tried any of these products? Really keen to try the S5! Will have to grab some when I'm in the US! 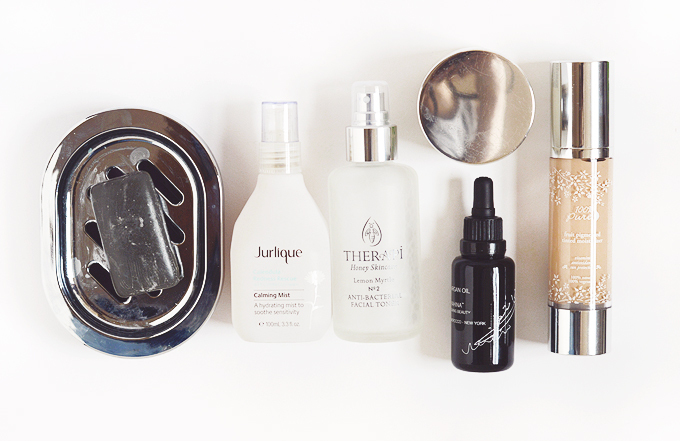 I really love keeping my skincare simple and your routine sounds perfect! I'll definitely try mixing oil with the 100%Pure tinted moisturizer during the cold season! Annabel, I think you take the best photographs of all of the natural beauty bloggers! So crisp and light-filled. HelloAnnabel.com is a natural & vegan focused beauty, lifestyle and food blog. © helloannabel • Theme by Maira G.